Congratulations On Your New Mobile App! This video tutorial will walk you through the process for punching and redeeming your customers reward cards, and coupons. You can also read through the step-by-step text version below the video. Understanding the Redemption Process is an important next step to prepare you and your staff for punching and redeeming your customers reward cards, and coupons. This step-by-step tutorial will walk you through that process. If you previously installed test App on your device, you must uninstall it now. Then, search the iTunes or Google Play store using your *Search Term to install the Live version. Upon initial installation, iPhone users are prompted to “Allow notifications”, Android users are not prompted with this message. 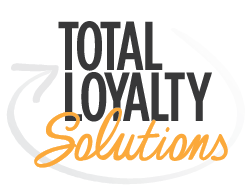 Loyalty Club Punch Cards are a great incentive for your customers, and promotes repeat business. - For this tutorial you will need to have a laminated redemption bookmark handy. Enter Email Address: Your customers will be prompted to enter a valid email address upon accessing the punch cards, or coupons, for the first time. *Email addresses are collected and stored to help grow your database and are never sold. Once entered, all active cards load, and by swiping to the left, customers can navigate through all cards. The download incentive is your thank you to customers for downloading your App onto their device, and it is the first reward card they will see. Punching and Redeeming the reward card is a 2-step process. “Redeeming” the reward to remove it from your customer’s device. Once scanned, the congratulations screen appears. The Reward is displayed, and can now be redeemed. Note: The Pin Code option is usually reserved as a backup to the barcode. For security reasons, we recommend only management and trusted employees are given the pin code. Please refer to the email you received from the TLS Coaching Team for your pin code number. The download incentive is a one-time use card and therefore set to one punch. In order for this card to be removed from the device your staff MUST “Redeem” the reward. Otherwise this screen remains on the customer's device and they will be able to claim this reward until it is removed. When your customer is ready to claim their reward, ask them to tap “Redeem Reward”. Then, tap “Scan Code” to repeat the scan process. Once scanned, the download incentive card is redeemed, and removed from the device so it cannot be used again. Any additional reward cards will be displayed. * If a customer deletes the App and re-installs it on the same device they will not receive a new download incentive. The App is device specific and will remember which cards were used on that particular device. Loyalty Club Cards promote repeat business by giving customers the opportunity to earn punches and ultimately receive rewards for their purchases. When a reward card is “punched” the icon will change so that you and your customer can keep track of the punches they have earned. If the card is set to limit the number of punches earned in a day, a pop-up message will alert the user if they’ve reached their maximum number of punches. Once all the punches are completed, the last scan will “unlock” the reward, and the congratulations screen will appear. When your customer claims their reward, remember to follow the steps to “Redeem Reward”. Once redeemed, this reusable card will reset allowing your customer to begin earning punches again. In App Coupons are a great way to give more offers to those customers that have downloaded an App. To access, your customer will tap the “Coupons” module from the side or bottom menu. Any available coupons, including existing or future local flavor coupons will appear. Tap the magnifying glass icon to enlarge any text on the coupon making it easier to read. A warning will appear notifying them that the “Redeem” button should only be pressed at the time of purchase. They can REDEEM now, or choose “CANCEL” and use at a later date. Make sure everyone is comfortable with the redemption process and is excited about your program! Promote your App in your business, and on social media, using the materials in your kit and the provided images. Your mobile App is a great tool to help promote your business and interact with your loyal customers! Visit 3 Tips to make your Mobile App Successful to learn how to build and grow loyal customers who come back again and again.